Star Wars Heading to Netflix, Possible Cad Bane Series? Until now, the only way to get ahold of Star Wars in viewing format was to either catch it on TV or own the VHS/DVD/Bluray, but after a recent deal between Marvel and Netflix, Disney is taking the next step by possibly incorporating Star Wars into the world of instant streaming. According to a source close to production, a new 'Star Wars' TV series is currently being considered… and it could head straight to Netflix. "I've been hearing some talk that the 'Star Wars' license will move onto Netflix properties as well as 'Star Wars Rebels'. The idea being tossed around right now is a series focusing on Cad Bane from 'The Clone Wars'. But this is very early talks." As far as original Clone Wars characters go, Cad Bane is certainly the staple of character developed for the series that could stand on his own (aside from Ahsoka Tano), but would be it be enough for an entire series? Could this be the format that the "Bonus Content" of the Clone Wars series makes it's debut, or could this be something entirely different? 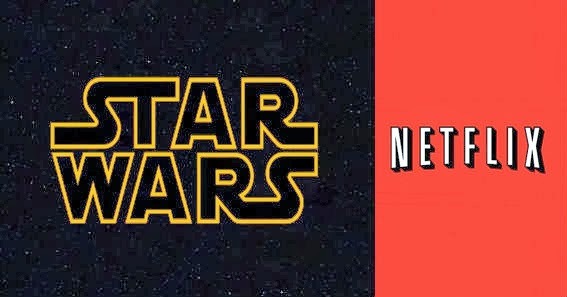 Would you rather see new Disney Star Wars all over Netflix, or should Netflix focus on simply the films? Let us know in the comments.